Double 11 is almost upon us! Don’t sleep on this offer on by Candiesfs Tmall store – Buy 3 for the price of 2 storewide only during the 1st 2 hour on 11.11! Coupled with the ¥50 discount for every ¥400 spent, that’s a lot of savings, so this is the best time to stock up for next year Chinese New Year’s outfits! Buyandship will make sure all your Double 11 purchases arrive safely, sign up with us to get access to our China warehouse. Looking for chic shoe storage for your massive sneaker collection? 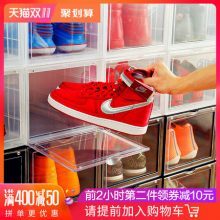 Then Double 11 is your best time to shop – check out this clear shoe storage box which will be discounted up to 50% on 11.11! The more you buy, the cheaper it gets, as the 2nd item will be deducted ¥10 during the first 2 hours on 11.11, there is also a ¥50 discount for every ¥400 spent. Bookmark this page and make sure you click on the order button once the clock hits 12 on the singles day! If you are a skincare junkie, here is one Taobao Double 11 deal that you won’t want to miss! 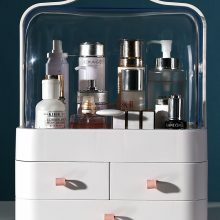 Get a 3-tier acrylic makeup organizer on 11.11 at only ¥79.00, that’s a 75% discount from the original price of ¥316! Make sure you add it into cart now, and make payment on the singles day as soon as the clock hits 12! We will help to bring your Double 11 purchases back safely, join Buyandship now! The no.1-selling fashion store at Tmall from 2012 to 2017, Hstyle is definitely the store you can count on for the latest K-style fashion pieces! All orders above ¥600 made on 11.11 will be entitled ¥100 discount, to top it off, all items from the thermal blend collection will be deducted a further 25% if payment is made before 1am. Head over to the official Hstyle store on Tmall now and start adding your favorite pieces into cart, simply check out and pay on 11.11 to get the items secured! Make sure you are a member of Buyandship, and we will ensure you receive your items safely. AlikeUnlike! is a Taobao fashion store that specializes on original designs inspired by the latest global fashion trends. 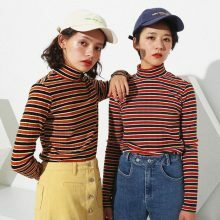 You can trust this Taobao store which is certified gold with rave reviews, to satisfy all your sartorial needs for unique pieces without forking out a fortune! 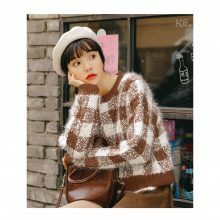 Like all Taobao shops, AlikeUnlike! is running various pre-sale deals leading up to Double 11, including free socks and maximum ¥130 coupon. Make sure you visit the store on 11.11 to check out AlikeUnlike! below ¥39 items which will only be available on singles day itself! Get all your 11.11 purchases shipped to our China warehouse, and we will bring them back to Malaysia – all in ONE package! A portable hand-held fan always come in handy in our warm weather, why not get a cute one from Line Friends’s Double 11 special deals? Usually retailed at ¥168, the 11.11 price for this fan is only ¥88! Enjoy a further ¥30 discount off your purchase from Line Friend’s Tmall store with a minimum spend of ¥199. Add this along all your favorite goodies into cart now, simply check out and pay on 11.11 to get the items secured! 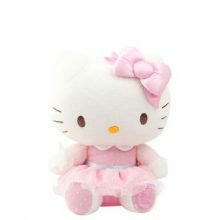 Pay only ¥209 for a 40cm Hello Kitty Plushie – only at Sanrio Tmall offical store during Double 11 pre-order! Already close to 5,000 units of this plushie has been pre-ordered, this pre-order deal will save you ¥190 as it usually retails for ¥399. Check out the Sanrio’s Double 11 campaign page to claim the coupons, as well as all their pre-order deals. Make sure you are a member of Buyandship, and we will ensure you receive your items safely! With less than 2 weeks away from Double 11, there are not many days left for you to enjoy the pre-order savings! 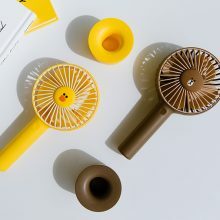 If you are a fan of Kakao Friends, then make sure you check out the Double 11 specials they are offering for pre-orders. 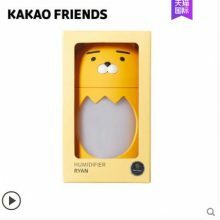 For example, you can score a Ryan humidifier at only ¥170 (usual price: ¥ 216) or Kakao Friend mouse + mouse pad set at only ¥320 (usual price: ¥ 402) during the pre-order period. You can also claim various coupons – with discount up to ¥250 from Kakao Friends Tmall official store. 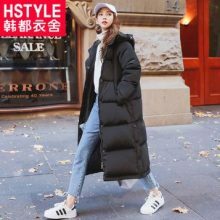 Just count on Buyandship to bring all your Double 11 purchases back from our China warehouse. Get a set of mobile phone car accessories for only ¥58! 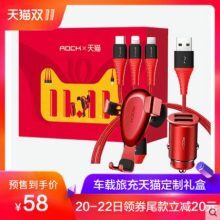 In conjunction with TMall Double 11’s 10th anniversary, Rock Digital TMall Store is selling a mobile phone car accessories box set which includes a mobile phone holder, a USB charger and 3 types of cables. Available at the price of ¥88 on 11.11, you can score a cheaper deal at only ¥58 by pre-ordering now! Simply pay a deposit of ¥10 to secure this special pre-order price. Get all your 11.11 purchases shipped to our China warehouse, and we will bring them back to Malaysia – all in ONE package! For furbaby mommies and daddies out there, TMall has curated a list of Double 11 pre-order deals for pet food, place order now to enjoy the savings! Various reputable pet food brands are offering special price or coupons for pre-order from now until 10th November. 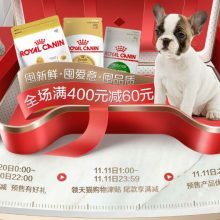 For instance, Royal Canin is giving away up to ¥35 coupon, coupled with the ¥100 coupon offered by TMall, you can save up to ¥135. There are also ¥10 coupon if you follow the Royal Canin TMall shop, lucky draw, ¥10 coupon for purchase of 3 items and more on 11th November. Head over to TMall to check out all the amazing deals! Make sure you receive your purchases from China without fuss by having your purchases sent to our China warehouse, sign up now!